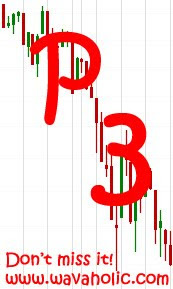 DAX: What a nice week for the DAX! I actually expected the DAX to reach 5800 to form a really nice Ending Diagonal. It didn't happen and the last upwave ([v]) ended in a truncation. Nevermind. 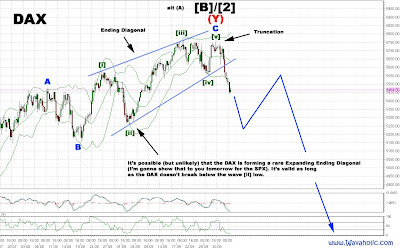 We've got our break below the uptrending line of the Ending Diagonal making it very likely that Primary 2 or B has ended. The very last bullish count I can see now is a possible but very very rare Expanding Ending Diagonal. But to be honest, I don't like it and won't bet anything on it... I clearly prefer the downside now.